Dual system blinds offer the very best in light control and privacy for homes. 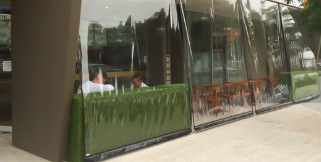 They consist of two blinds, one constructed from a clear PVC material, and the other from shade weave fabric. This dual system lets you choose when you would like to block out light and when you’d prefer to filter it, providing you with year-round options for any outdoor area. Dual system blinds allow for the installation of two blinds in the same location, each independently controlled. These two blinds are constructed from different materials that provide unique features and benefits, giving you the ability to choose which blind you want to use at any particular time. For instance, you may pull down the clear PVC blind when you need protection from harsh weather elements such as wind, rain or the shade weave fabric blind to increase the privacy or shade of an area. This provides maximum versatility when one blind solution simply isn’t enough. 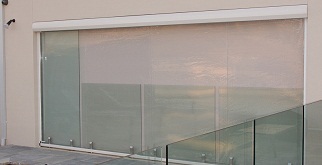 Dual system blinds are usually used in locations where multiple blind solutions are required. By providing an alternative that combine two solutions in one, they ensure that you won’t have to compromise by choosing one option over another. This makes them ideal for areas where both shade weave and clear PVC shade blinds are useful, such as outdoor entertaining areas, gazebos, patios and verandahs. Call on 1300 736 110 or message us (see above). Our friendly, knowledgeable team will be happy to discuss your options with you and provide a free measure and quote.